Quartz crystals are comprised of silicon dioxide and they form in a wide variety of different colors and types. Many are transparent or translucent and they are configured in many different ways. 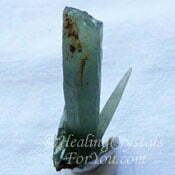 They come in a range of attractive colors, and many of the stones made from quartz have powerful healing qualities. Their attributes are quite diverse and many have potent vibrations. 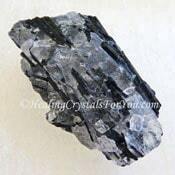 Quartz has many excellent qualities including being able to be programmed, and this makes it a powerful stone to use to assist you to manifest those things you desire. Quartz is used by industry because of its piezoelectric qualities and its amplification properties. It is this specific quality that makes these stones very powerful for metaphysical purposes, and creates strong healing attributes within the stones. The name quartz comes from an old Anglo-Saxon word 'Quertz', and these stones have also been known as rock crystal. They are the most prolific type of crystals found on the earth, and because there are such a wide assortment of different types of quartz crystal, they can be found all over the world. They will be found on all continents and in most countries in the world, and as Quartz forms in a wide variety of different colors and types, it is possible to obtain them quite easily. 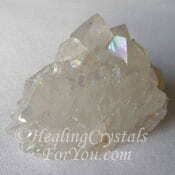 Many of the pieces of quartz that you see have the classic prismatic shape. 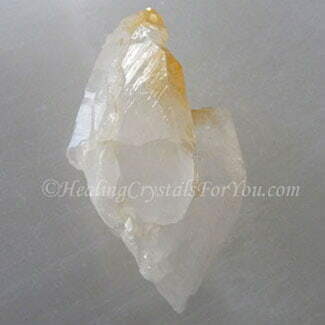 The record keeper crystal shown in the image further down this page is an example of the classic shape of quartz of all varieties. They occur in a variety of forms from massive pieces of stone through to tiny crystals on a matrix. Yet depending on the specific type, and where it comes from, they can actually grow in a variety of ways. Each of the various types of quartz may have different inclusions within the basic quartz structure, which contributes to each quartz type their characteristic color and vibration. So this means that the inclusions create distinctive metaphysical properties, which is why quartz has so many variations in meaning. The many different quartz configurations and formations also create properties that make them powerful to use both in your daily life and for healing, so is worth knowing before you choose your crystal. There are also enormous variations in their growing habits, which means you will possibly find them naturally growing in the place where you live. They may not always be the beautiful specimen stones but they are still quartz crystals. 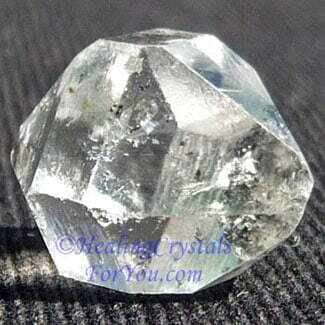 Any type of quartz is beautiful to wear as they aid the energy to reach where it is needed more easily. 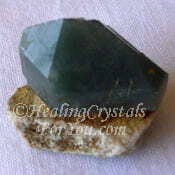 Wearing a beautiful piece of jewelry that is also such a potent healing tool is very helpful. This piece includes three different quartz crystals, with bright yellow Citrine, Purple Amethyst and the lovely Ametrine stone all in the one pendant. 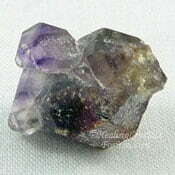 Ametrine is quite striking as it is a mixture of two colors and many quartz stones have very bright colors. 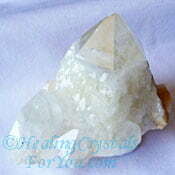 Exquisite Crystals, my most trusted source for buying crystals has beautiful quartz crystals. It is possible to buy beautiful quartz pendants in a variety of different colors, like the bright Harlequin Quartz which is very attractive. The combination of the strong healing attributes and the beautiful stones makes quartz jewelry very popular. Wearing any type of natural crystals, such as a pendant, ring or other jewelry, keeps them within your aura. This means that you are constantly able to utilize the vibration they emit. 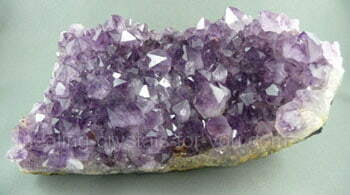 Clusters of Amethyst can be used to aid you to cleanse your jewelry. Simply place your ring or pendant on top of a cluster of lovely Amethyst Crystals overnight, to cleanse it of negativity. 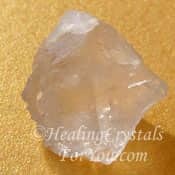 There are many popular types of quartz, and the colored varieties such as the lovely bright Yellow Citrine, Pink Rose Quartz, purple Amethyst and the lovely Golden Healer Quartz, see image. If you wish to add one to your collection there are a range of different Quartz Crystals in a variety of shapes and colors, with various attributes. 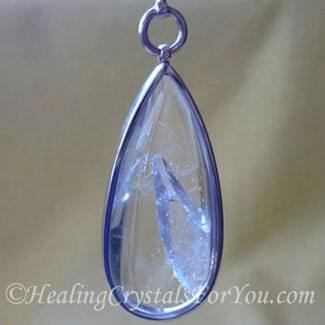 Using a pendulum is now a quite well known healing practice, as it gives the user instant feed-back on the problem. Pendulums are excellent tools to help you to obtain answers from spirit. Although pendulums are made from a variety of different stones, quartz pendulums are quite powerful due to their amplification properties and are easy to buy. Beautiful crystal bowls are made from different types of quartz crystals, although commonly white quartz is used. These may be used to hold healing stones in a treatment room or in the home. The clear or white crystals are very popular, and they come in many different configurations, like this interesting record keeper shown below. 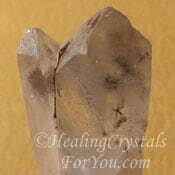 Clear quartz may be fashioned into crystal wands. 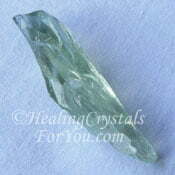 These are made from clear quartz which may be precision cut into the powerful Vogel wands. 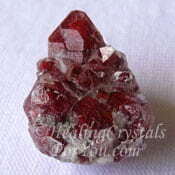 Vogels are potent metaphysical healing tools, which bring through a higher level of healing energy. Just having a quartz cluster in the room is powerful, due to their strong amplification properties. Their energy will resonate outwards into both the room where they are located and into nearby rooms. 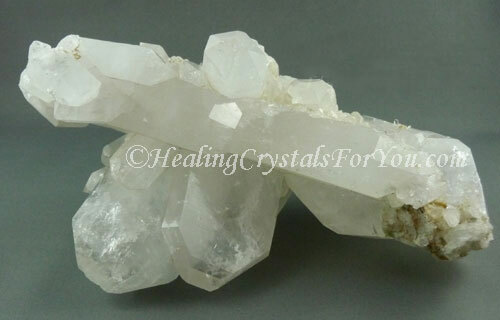 Quartz crystals are used for healing in body layouts, by either placing the stones on the body or around the body. As their energy resonates so strongly, they do not have to be touching your body to create a good healing outcome. 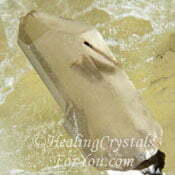 Healers will commonly place pieces of quartz at the chakras to aid healing. They may be placed on the table near the person being healed or even under the table and do not have to be in contact with the body to work. This is why many natural therapists have a piece of some type of quartz located under their healing tables, as their energy will work very well at this location. There are many varieties of quartz that will aid you to make a connection to angels. This includes stones such as Elestial Quartz, Angel Phantom Quartz also known as Amphibole Quartz, Ajoite in quartz, Angel Aura Quartz, Lemurian Seed Crystals and Herkimer Diamonds. 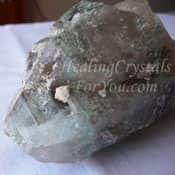 Some quartz crystals have a high level of crystal energy, and these are listed on a page dedicated to the high vibration crystals. Because they embody the quartz attribute to amplify their energy and are of a high vibration, this makes these potent stones to use to aid your personal journey. 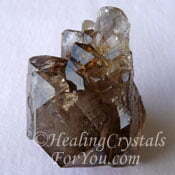 Herkimer Diamonds have a beautiful energy that is powerful to combine with rare or lower vibration stones. This combination can be helpful when you are using smaller stones in your daily crystal meditation. You may also choose to them with the other high vibration quartz crystals such as Star Hollandite Quartz, Nirvana Quartz, Dream Quartz, Aurora Quartz aka Rainbow Quartz, Golden Healers, Satyaloka Quartz or Fire Quartz aka Agnitite. Quartz Clusters Are Highly Beneficial! Many types of quartz have excellent healing properties, and this is one reason why quartz crystal healing is so popular. 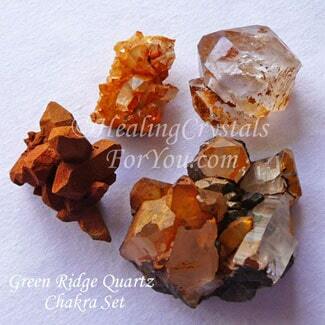 Clusters of these stones are popular, and lovely Clear Quartz Crystal clusters are wonderful pieces to own. If you have a cluster of any variety of quartz in the vicinity, it will amplify its healing attributes out into the room where it is located. 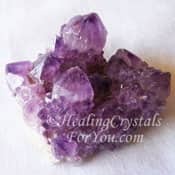 The violet flame healing energy is embodied within Purple Amethyst Crystals, and these beautiful crystals are impressive healing aids. This can be an excellent healing tool that requires no effort on your behalf. 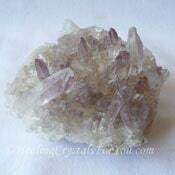 Beautiful lavender and purple Amethyst clusters have a wonderful energy and are powerful to have in any room. All varieties of quartz have the potential to amplify the thoughts of the person who uses them. Their energy may be utilized if you are a healer to create a stronger healing outcome. Keeping a piece of quartz on your body is helpful, as wearing them may aid you to think more clearly and to use your thoughts in a positive way. 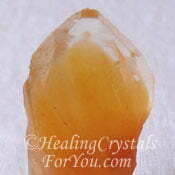 There are many quartz crystals among the wonderful new healing stones that are still being discovered. Included in these new finds are some quite amazing varieties. 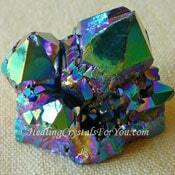 This includes the stunning Rainbow Mayanite shown in the picture below. This is a fairly new stone that was found fairly recently. 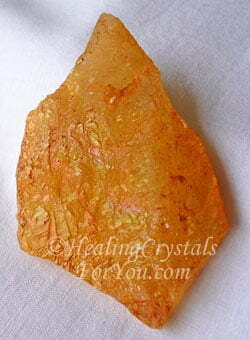 It is a golden healer with stunning rainbows across the stone. 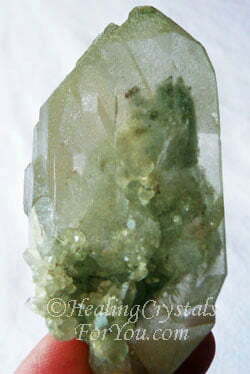 Another beautiful quartz that was also discovered quite recently is Green Ridge Quartz, and this is also a powerful healing stone. 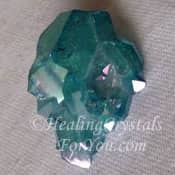 These stones have powerful metaphysical qualities and strong healing attributes, and the energy embodied within the stones may be used for self healing in your own home. 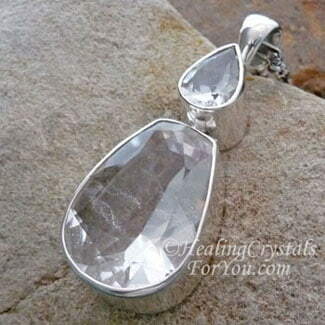 Quartz crystals make lovely jewelry as many of them are quite beautiful stones. 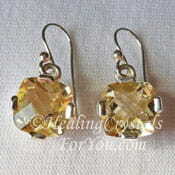 Some of my favorite pieces are made from bright yellow Citrine Crystals. They are well-known as prosperity stones so they are very popular. Another beautiful stone is the lovely Ametrine gemstone, which is often used in jewelry. 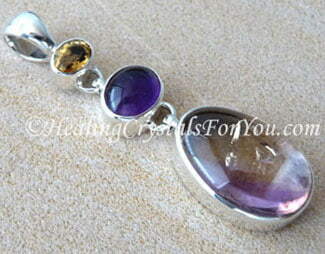 A mixture of Amethyst and Citrine, it is a favorite of jewelry buyers as these crystals are very attractive. So many of the most common crystals are quartz. The most well known Clear Quartz Crystals are very popular with many people, and the other favorite quartz for many people is Amethyst, which most often occurs in many shades of purple. It may also be lavender or pinkish mauve, yet you may not know that Amethyst Crystals may also be green, and this stone is known as Prasiolite. A beautiful and less well known stone is a rare mixture of the two colors of Amethyst. This mixture occurs in a completely different stone called Amegreen. This is where Purple Amethyst and Prasiolite also known as Green Amethyst, occur together with a band of white quartz between.... see picture and link further down the page. Rose Quartz is absolutely beautiful. 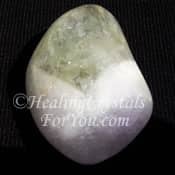 These beautiful stones come in a range of shades of pink as well as the lovely lavender rose quartz, see picture above. 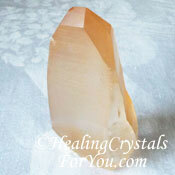 These pink quartz crystals are well known, and they are very popular. 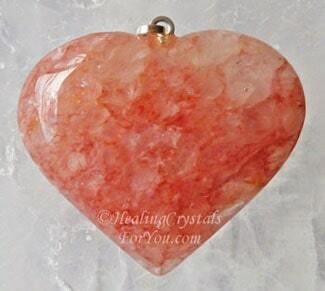 They resonate with the vibration of love and are helpful to help relationships. As many of the more wide-spread stones found in the average crystal shop are made from quartz, many of you probably have some in your collection. You might even find pieces of natural quartz in the soil near where you live, and when walking on many beaches you may see small quartz stones washed in with the tide. These come in a variety of colors, and can be found all over the world. 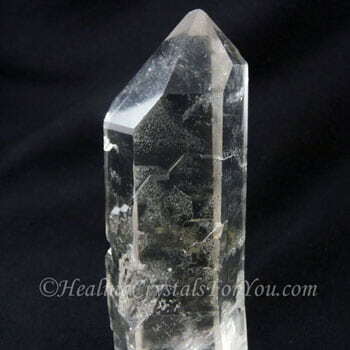 Whatever type of quartz you own, remember that it is valuable to regularly cleanse your crystals. 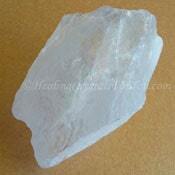 Cleaning crystals made from quartz is easier and safer than cleansing crystals of other types. So to keep them at their best ensure that you do it often, to keep their vibration clear. You should also cleanse your crystal jewelry, especially if you wear it every day. You can use their vibration by simply keeping a piece nearby, as it will resonate out and you will benefit by its energy. They come in a range of attractive colors and make beautiful jewelry which you can wear to aid your ongoing healing in many different ways. Ancient quartz crystal skulls are now coming to light in this century, and many of these have been carved in ancient times, and have been used in a variety of ways by ancient people. Although we do not know for certain why they were created, there have been many books written on the subject, as it is clear that they have a powerful vibration. These skulls have been carved from a variety of different types of crystal, and they have been dated to determine their age, so it known that many of these are ancient in origin. All Quartz crystals have superior amplification properties, and as the stone is easy to carve you can find it in a variety of shapes. 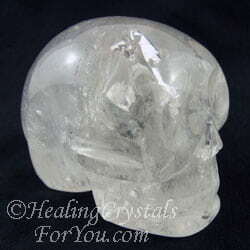 It is clear to anyone who owns a crystal skull, that by cutting the stone into this shape they seem to attract specific spiritual energy that is available when you use these amazing pieces for spiritual growth. "Dare to reach out your hand into the darkness, to pull another hand into the light." Norman B Rice. There are a number of crystal books on the market now, and so it is easy to buy one that will help you to learn more about crystals rocks and stones, and of course the many varieties of quartz crystals. I have written reviews on some of my favorites, just to give you an idea whether a certain book will suit your way of thinking. Some books are not covered at all, and this also applies to certain authors. If I don't like how an author covers the subject, I just give the book away. I prefer not to say negative things about anyone. Melody's Encyclopedia is in my thinking one of the best books on the market. While it is one of the best books about crystals that is currently available, it is big, in fact very big. It has a lot in it, but its not one to take with you as its very big and very heavy. There are many others that are a good size to go in your bag, so you can take them with you shopping. If you are unsure, take a read of my reviews before you go shopping for a crystal book. Read my reviews and get yourself a crystal book! 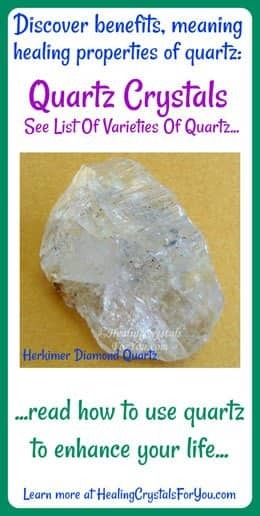 There are a very large number of types of quartz and while many are pictured here on this page there are lots of others not shown here. Actinolite In Quartz, Angel Aura, Arkimer Diamonds, Auralite 23, Beta Quartz, Blue Phantom, Brandberg aka Brandenberg, Chevron Amethyst, Elestial, Faden, Fairy Wand, Gilalite in Quartz aka Medusa or Paraiba Quartz, Glacial Etched Quartz, Golden Healer, Himalayan Gold, Himalayan or Alpine Quartz, Kundalini Quartz, Lavender, Lemon, Lemurian, Lepidocrocite In Amethyst, Pecos Diamonds, Phantoms or Rainbows In Quartz, Self Healed Quartz, Sichuan, Singing Quartz, Smokey Lemon aka Smokey Citrine, Snow Quartz, Strawberry, Tabular, Tangerine, Tanzan Aura and Tibetan Black Quartz. 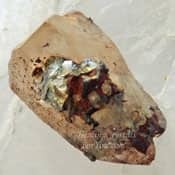 As there are a large number of articles on this site about individual crystals, the stone you are interested in may have more information written about it. A good number of the stone types have had in-depth articles written dedicated to them, and reading these is the best way to learn more about specific stones. If you want to discover more about individual crystals, check if the name under their picture is highlighted with a link. If it is, simply click on the picture or the link to go to the specific page. 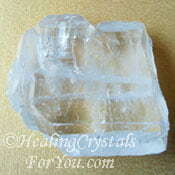 This may give you more ideas on how best to utilize these particular crystals. You can also learn more by reading about the attributes of quartz occurring in a specific formation. 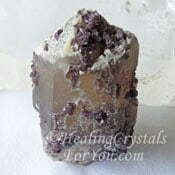 Newly discovered crystals are still becoming available and where possible these will be added to the site, and you will most easily find them on the pages that cover stones alphabetically.